Cold case - evidence sought. In 1979 a crime was committed in the dock of Court no. 1 at the Old Bailey, in front of the judge. The perpetrator was Tom Keating, artist, picture restorer and master forger. On trial for unleashing his 'Sexton Blakes' (rhyming slang for fakes) on to the art market, he was defended by Lord Hutchinson. "Meanwhile Keating himself spent his time in court drawing. It was reported that he had already accomplished seven sketches of faces in court and that the 'policeman whose job it is to make sure he doesn't bolt for it was full of admiration for his work'." It is illegal to draw in courts below the Supreme Court. When I tell people this, they visualise all those pastel sketches and contradict me. But these have to be drawn from memory. Please see section 41, Criminal Justice Act 1925. The penalty for drawing in a court or its ill-defined precincts is a fine and a criminal record. Judges have no discretion in the matter. Except for one, it seems. 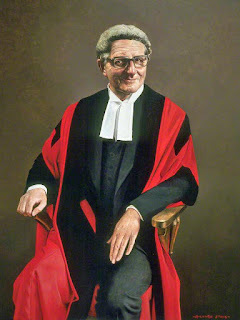 Was Sir James Miskin, the Recorder of London, indulgent, unobservant or just a bit rusty on the Criminal Justice Act? He and Keating are now dead. Does anyone know what happened to the sketches? The prosecution abandoned the case after Keating came off his motorbike and was not well enough to attend court. 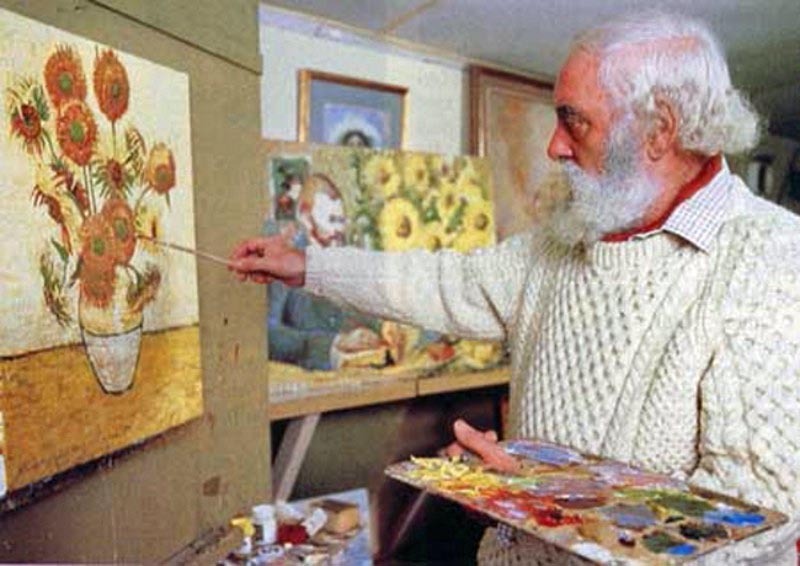 Some said the art market should have been in the dock, rather than Keating, who became a folk hero. If you find Civilisations a tad disappointing I suggest you watch his enlightening Channel 4 series Tom Keating on Painters on YouTube. I have drawn many pictures in court. Not sure doodling is what para. 41 had in mind. 15.37 is right, I can’t imagjne any usher saying ‘oh right go ahead then’. Unless the artist’s attempt is clearly so rotten as to be unpublishable. How can a celebrated professional artist with an attentive press gallery give adequate proof that pictures will never be published, short of eating them? Or indeed anyone else in a court today? Do ushers really give the benefit of the doubt? Can anyone enlighten me please? The Criminal Justice Act 1925 only prohibits sketches made in court "with a view to publication". Perhaps Sir James Miskin's knowledge of the Act was not so rusty after all.